Originally from Chelyabinsk, Russia, Sasha York is a founding member of the company and a key member of American Midwest Ballet. 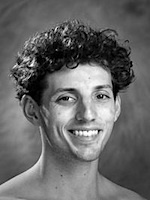 He regularly dances lead, soloist and featured roles in the company’s productions. What do you like to do for fun these days, Sasha? After a long day of rehearsal, I like to watch a good movie or cook Russian dishes. I also really enjoy working on my car and helping some of the other dancers work on their cars. When I get enough time off from work, I love to visit my family in Michigan – especially my little brother. When we don’t get a chance to visit for a while, my brother and I play Magic Cards over Skype. What has been your favorite role been so far? One of my favorite roles of all time was dancing the Vivaldi pas de deux with the amazing Maribel Modrono, former Pittsburgh Ballet Theater and Miami City Ballet principal dancer. It was an honor to dance with such an amazing ballerina. 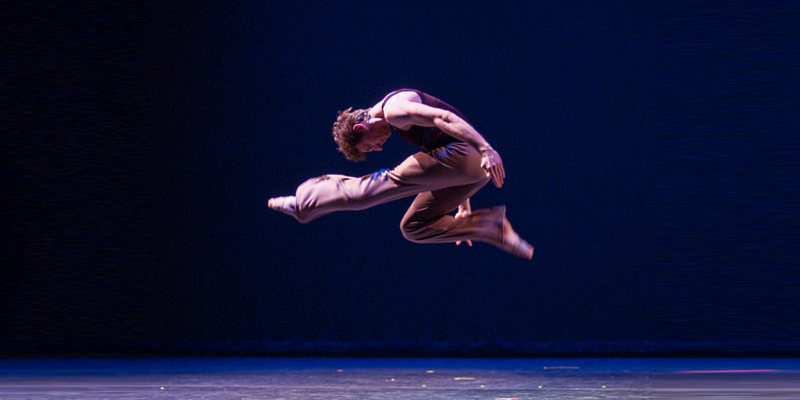 The experience really helped me to grow as a dancer and an artist. Another of my favorite roles is Harrison McEldowney’s Call It Off. It is one of the few ballets where I get to talk! Every single performance of that dance is different. It’s just a really fun piece. I had knee surgery a few seasons ago. I got a really bad infection so my knee had to be cut open and cleaned out. The doctor and our company’s physical therapist took really good care of me. I had to rest a lot, which was really hard for me to do. I had to stay on the couch for two weeks! When Dracula rehearsals started, I just had to come back slowly. Now I am doing great! I often get to go to lots of interesting places, but one place I really love to visit is Las Vegas. I’ve also enjoyed traveling to the Mammoth caves in Kentucky and many great festivals in Wisconsin. 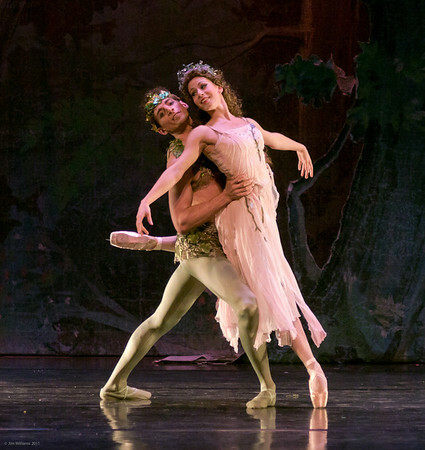 What part of the ballet season are you looking forward to the most? I love working with guest choreographers and learning new roles .I also love working with our company onr repertory, learning new roles and revamping familiar ones. Previous PostPrevious 'Dracula' – the countdown is on!